It's fun to think about what's coming out and which movies I'm most interested in, then compare that at the end of the year to what I actually enjoyed. For example, last year, seven of my Top Ten Most Anticipated Movies for 2016 actually made it in into my Top Ten of the Year. That sounds pretty good, but I listed 20 Most Anticipated Movies last year and only half of them were in my Top Twenty. Two of them (Underworld: Blood Wars and Guy Ritchie's King Arthur: Legend of the Sword) got pushed back to 2017, so they don't really count, but three I didn't even bother to see after learning more about them (Warcraft, Jason Bourne, and Jack Reacher: Never Go Back; though I'll likely decline its advice and go back for that last one at some point). The remaining five (Hail Caesar, Fantastic Beasts, Ghostbusters, TMNT 2, and X-Men: Apocalypse) were all over the map in terms of how much I enjoyed them. Which goes to show that we need to underline the words "interested in" in describing this list. These aren't the movies that I'm predicting will be the best; just the ones that I most want to see. That could be out of genuine excitement, but it might just be irresistible curiosity. I'll try to specify which as I go. Tell me what you're looking forward to in the comments! Sofia Coppolla directs this Western (I don't like calling them Southerns, but technically that's more accurate in this case) about an injured Union soldier (Colin Farrell) who's imprisoned in a Confederate boarding school for girls and tries to charm his way out. Nicole Kidman, Elle Fanning, and Kirsten Dunst are the primary occupants of the school. I like all of those people, the setting, and the drama of the situation. One of my favorite children's books. I have way more in common with the character of Ferdinand than I should ever admit. I have no idea if this is doable as a feature length movie, but I generally like Blue Sky's stuff, so hooves are crossed. 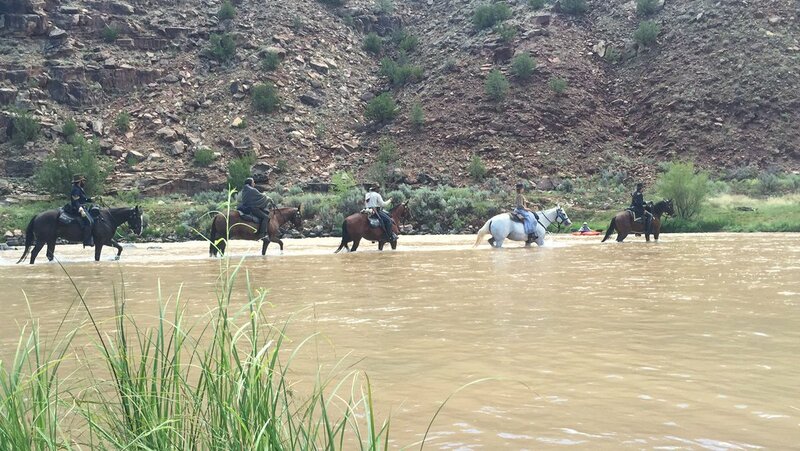 Another Western; this one with Christian Bale as an Army captain escorting a Cheyenne chief (Wes Studi) and his family through hostile territory. I'm concerned that Studi gets like 12th billing right now on IMDb, because I'm most interested in seeing the relationship between his and Bale's characters. Hopefully that's not indicative of his actual importance to the story. Lots of other great people in this thing, too. Rosamund Pike and Stephen Lang, for instance, but also Ben Foster in his second Western with Bale after 3:10 to Yuma ten years ago. I'm not crazy about the original, but it had a cool concept, which means that it's ripe for a remake. And I couldn't be more excited about The Rock and Karen Gillan as the leads. Hoping it's more focused on high adventure and less schmaltzy than the earlier version. Never read these books, but they've certainly captured a lot of imaginations and I usually like fantastical Westerns. I also like Stephen King, though movies based on his work are a mixed bag. I guess I'm pinning my hopes on Idris Elba and Matthew McConaughey in this genre instead of on the source material. I like Spider-Man and boy that was pretty cool in Civil War. But I don't love Spider-Man and there are some things about this that just make me tired. Young Aunt May and the look of the Vulture aren't thrilling me, for two things. Another is that I already feel like I've seen all the Tony Stark/Peter Parker interaction I want to in Civil War. 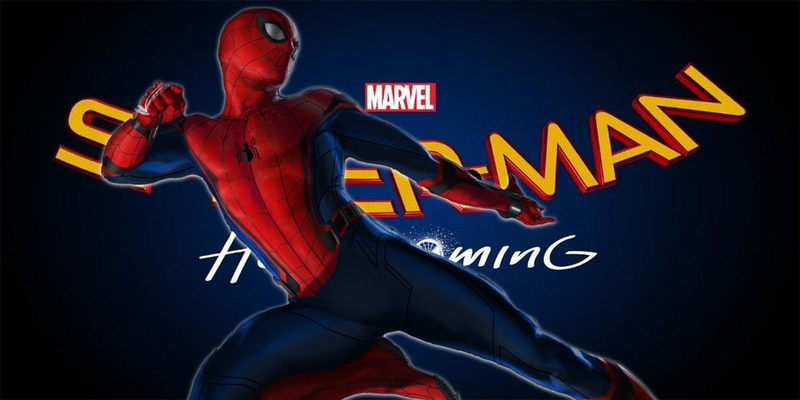 And as much as I trust in my heart that Marvel is going to make a good movie, this is still another Spider-Man reboot in too short a time. On the other hand, I've learned not to bet against Marvel. If this is the fun, teen comedy that it looks to be, I expect to be much more excited coming out of it than going in. 'Cause I love these movies. The humor is always pretty uneven, but there's always a good character arc and I do like me an a cappella mash-up. We've been rewatching Friends and I'm totally ready to see Lisa Kudrow do something more than a cameo in a movie again. 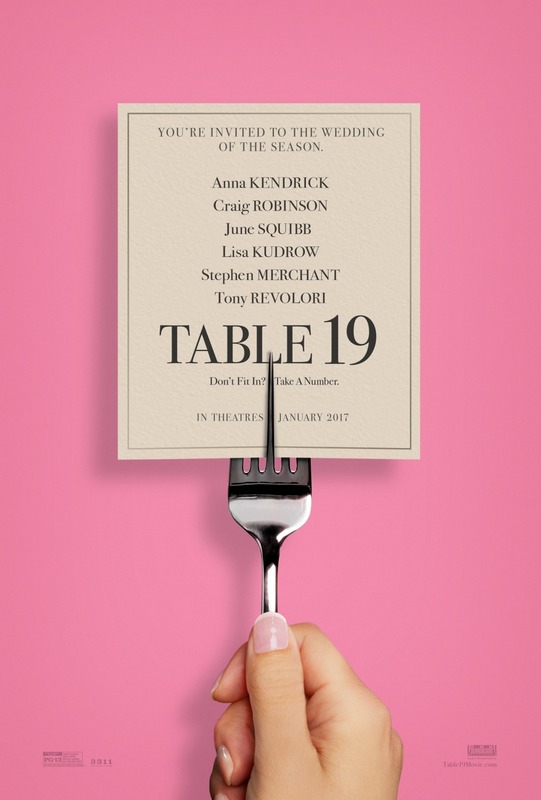 And I always enjoy Anna Kendrick and Craig Robinson. The trailer made me laugh and I usually enjoy seeing outsiders push back against their oppressors, so this has a lot going for it. I have no idea if I'm going to like this or not and that lack of expectation is partly what's attracting me to it. But mostly, it gets my money because it's our first real look at Jason Mamoa's Aquaman. They don't really make straight-up murder mystery movies anymore, so this is cool. And it's cool that Kenneth Branagh is directing it. And it's cool that Daisy Ridley, Penélope Cruz, Josh Gad, Michelle Pfeiffer, Willem Dafoe, Judi Dench, and Derek Jacobi are all in it. I'm a bit more nervous about Johnny Depp and especially about Branagh's playing Herucle Poirot. Either (or both) of those could be goofy, caricatural performances that will ruin the movie for me. But I'm glad someone's adapting some Agatha Christie again. I love the opening trilogy (even At World's End), but On Stranger Tides needs making up for. This will either bring the series back in line or prove once and for all that we're done. Really hoping for the former, because there's so much potential for a lot of fun movies in the Pirates world. As a huge fan of the Universal monster movies from the '30s and '40s (and '50s, when you add in Creature from the Black Lagoon), I'm all for the studio's trying to make a Marvel-style, connected universe with those characters. In fact, Universal was already doing that 70+ years ago. Marvel just revived the idea with superheroes. I don't know if it's going to work this time, but they're starting in a pretty good place with a Tom Cruise action movie that's also trying to be legitimately scary. Working in Russell Crowe as Dr. Jekyll feels like a great idea, too, especially since they're not knocking people over the head with that fact in the trailer. Nowhere is this being billed as Mummy v Mr Hyde, which already puts it on a better track than Warner Bros. 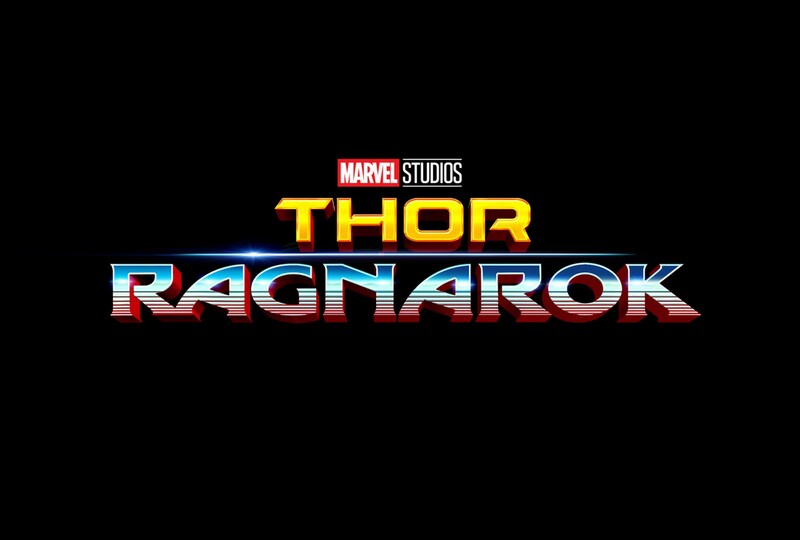 Speaking of Marvel, Thor is one of my favorite superheroes, Chris Hemsworth is one of my favorite actors, and I love the pitch of Ragnarok as a buddy road trip movie with Thor and Hulk. I've liked the other Thor movies, but they aren't as strong as the best Marvel films, so I'm not expecting to be blown away by this third one. I just want it to be a good time at the movies and don't see any reason to expect anything else. 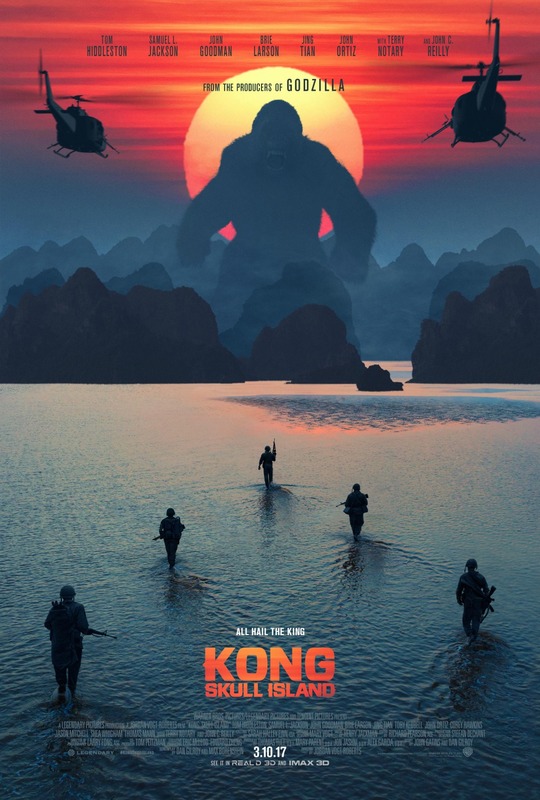 I'm hoping that the trailers are leaving some surprises, because I've always thought it would be cool to have a movie completely focused on Skull Island. It's an awesome setting for adventure and Kong: Skull Island has a great cast to put in it. I just don't like feeling that I've already seen most of the film in ads. I like Wolverine best when he's mentoring a young girl or woman. And I'm super excited by what I've seen of Patrick Stewart's portrayal of Charles Xavier in this. 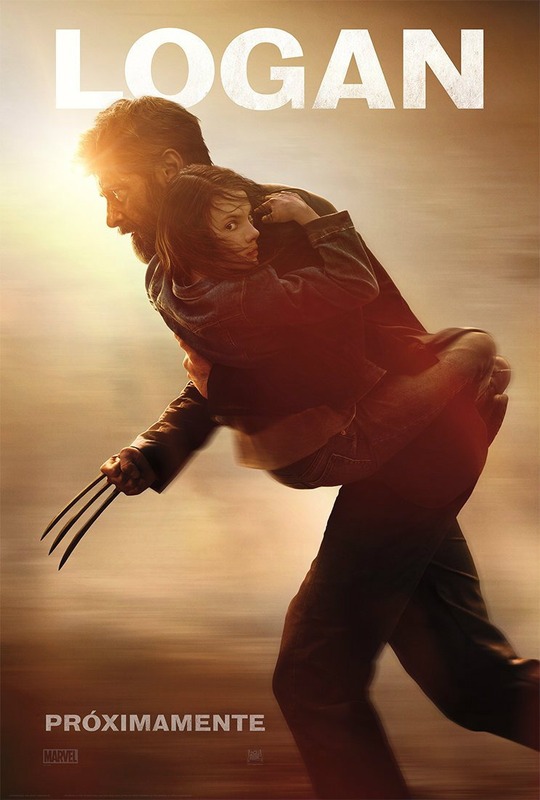 Logan appears to be a movie about relationships. That was the best thing about The Wolverine, too, so yes, more of that. Luc Besson and I don't always get along, but if we learned nothing else from my excitement about Jupiter Ascending, it's that I'm always on the lookout for the next, great space opera. See also: Guardians of the Galaxy. My excitement for Valerian edges out Guardians because it's new. It looks insane and amazing and both Cara Delevingne and Dane DeHaan are fascinating people whom I'll enjoy watching go through whatever lunacy Besson has planned. I'll always have a special place in my heart for the Planet of the Apes movies of the '60s, but I don't think there's any denying that these new versions are way better films. (Except for maybe the original Planet of the Apes, which totally holds up.) There's still a part of me that can't believe I like these new ones as much as I do, but I've learned to shut that part up and just let myself be excited. This is gonna be great. We've waited so long for a Wonder Woman movie and this one has the right ingredients - and the right trailer - to promise a good one. It's still concerning to me that the folks behind Man of Steel and Batman v Superman were allowed anywhere near this thing, but I have my fingers crossed and am holding my breath that their influence will be minimal and that we'll get the film we hope for. 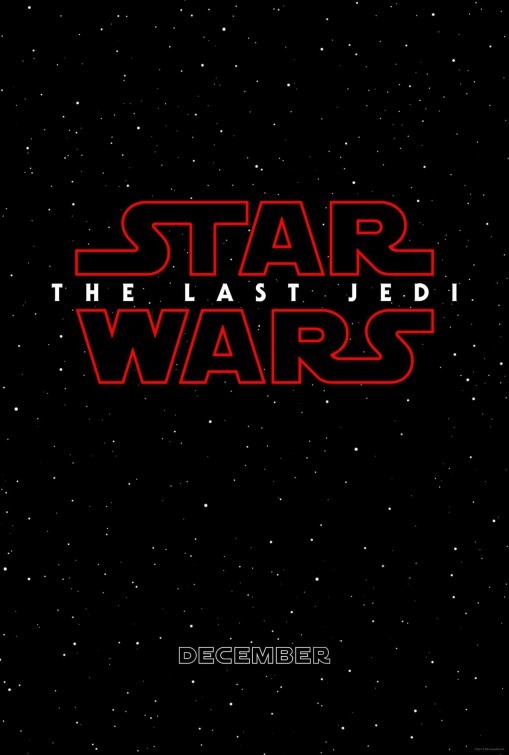 I have crazy high expectations for this, but I trust that Rian Johnson in the one to meet them. I must be getting cynical with age as I'm seeing fewer movies in the theater. There are plenty of titles that have piqued my interest but few I'm anticipating to see for myself. I admit that I groaned when I saw his name on the cast list. I felt the same way about Kevin Hart's inclusion, too. I'm hoping it's not as silly as those names suggest. I imagine we'll hash out what we thought of seeing Jack Black that last time he was in the jungle next weekend when talk about Peter Jackson's King Kong. Oh, yes. Which reminds me: I owe you an email. I'm on board for Star Wars, War for the Planet of the Apes, Valerian, Kong Skull Island, The Dark Tower, and Spider-Man. So I guess we have similar taste in movies. Some of the others I may watch too, but the above would be the ones I'm most likely to turn out to see at the cinema. I'd add to my list with Alien: Covenant, Bladrunner 2049, maybe Dunkirk. There might be something else released that if it gets good reviews, I might be interested in or something released towards the end of the year not yet promoted. I hope it turns out to be a good movie year. Though I was hard-core for Eastwood I never made it through the original The Beguiled - I'm not up for reboot. 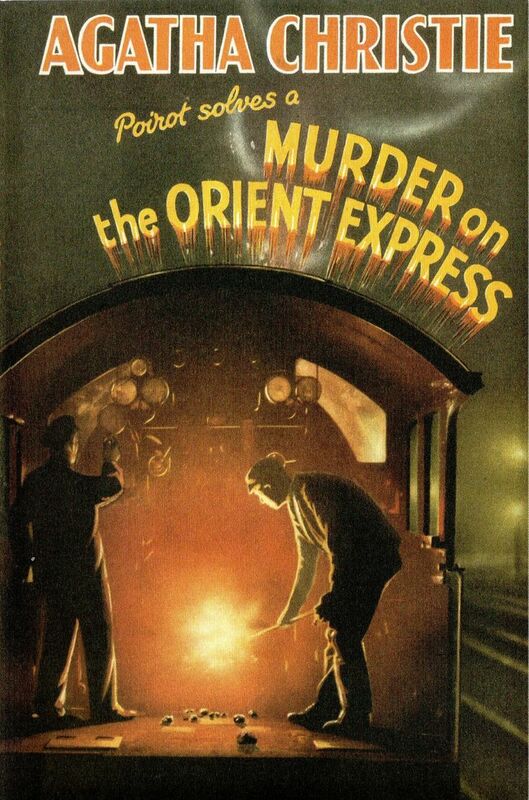 I'll keep Murder on the Orient Express in mind - I'd prefer not to suffer through another peculiar take on Poirot though (by chance I'm currently reading The Underdog and Other Stories). I'm all in on Guardians of the Galaxy 2. The Walking Dead got me hooked on Michael Rooker and that is all I need to give another Guardians movie a viewing. I suppose I like most of the other actors and their characters as well I just don't know who any of them are. 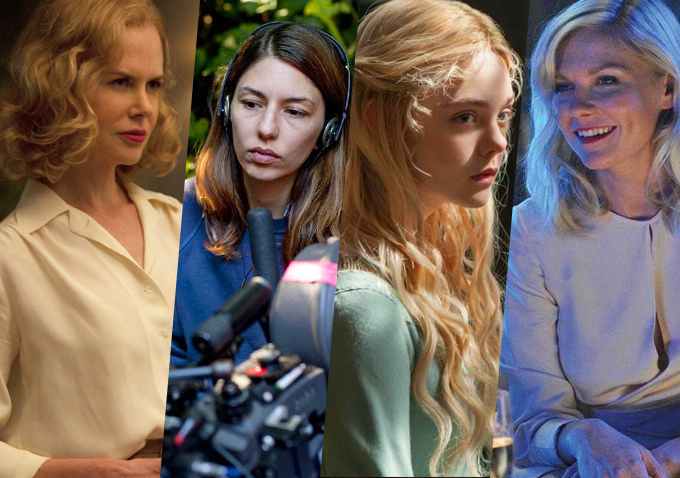 I didn't realize that The Beguiled was a remake! Based on your comment, I'll avoid seeing the original until I've checked out the new one. You continue to show we have similar proclivities with these movie articles. Ferdinand - I love the story of Ferdinand. I read the book to my kids. But my first love is the Disney cartoon version from 1938 that used to show before movies on HBO. I love it so much that I'm concerned watching another version. And a feature length version at that. 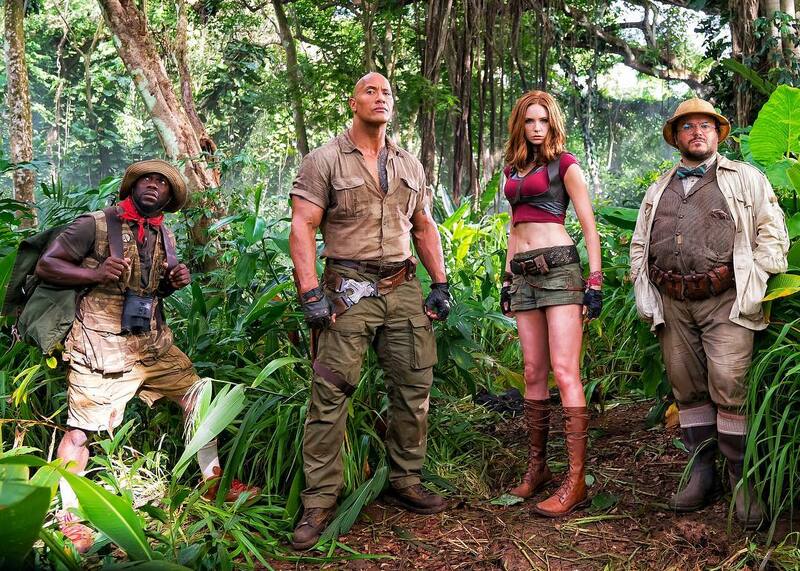 Jumanji - I like the original. Did I need a sequel? Not really. I liked the "sidequel" movie Zathura which technically took place in the same universe. But I didn't need a continuation of the Jumanji game. Dark Tower - I read the first book, The Gunslinger, and hated it. HATED it. 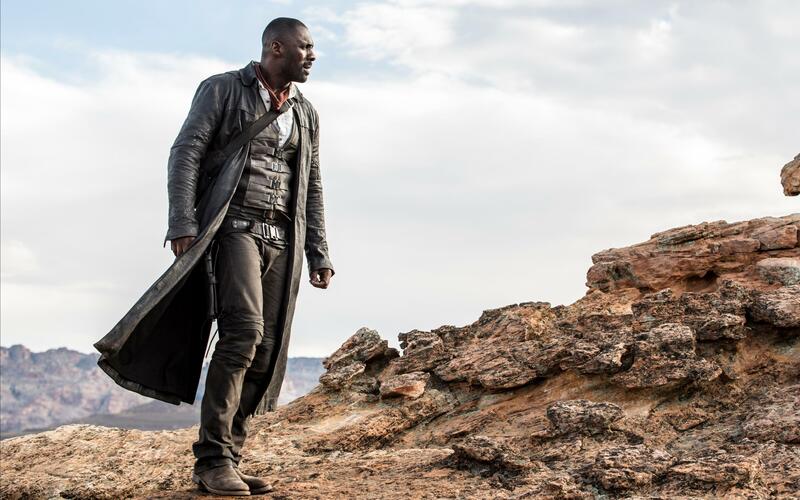 However, I will give this movie a chance as I love the idea of Idris Elba and MM going toe to toe in this genre mashup. Spider-Man: Homecoming - The trailer is magic. I love Tom Holland. I love Keaton as Vulture. There is a shot of the Vulture crashing down onto camera that is a direct homage to a scene from the 1989 Batman movie. I couldn't love this movie more and I haven't even seen it. I hope the trailer hasn't ruined it for me. 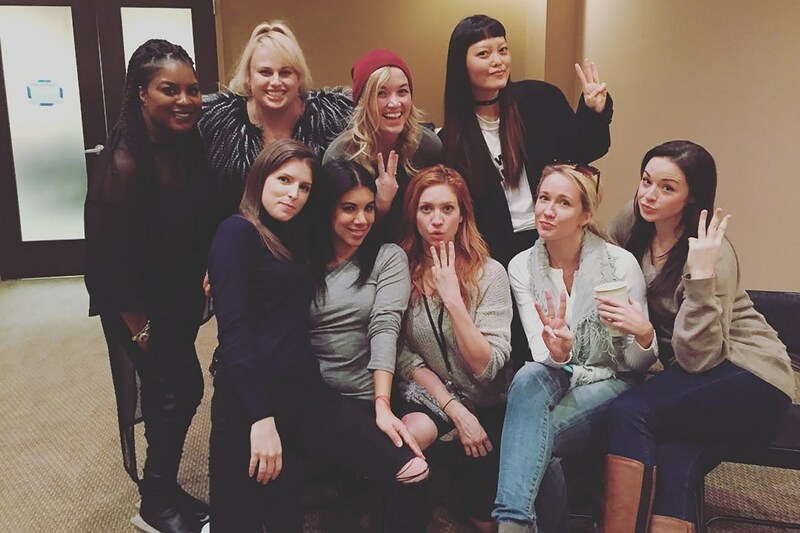 Pitch Perfect 3 - I love the first two movies. I'm going to watch the third. Period. Murder on the Orient Express - I like the genre. I like the ensemble cast. I don't love Branagh, but it could still work. Pirates 5 - I can't agree with you about At World's End which was garbage. 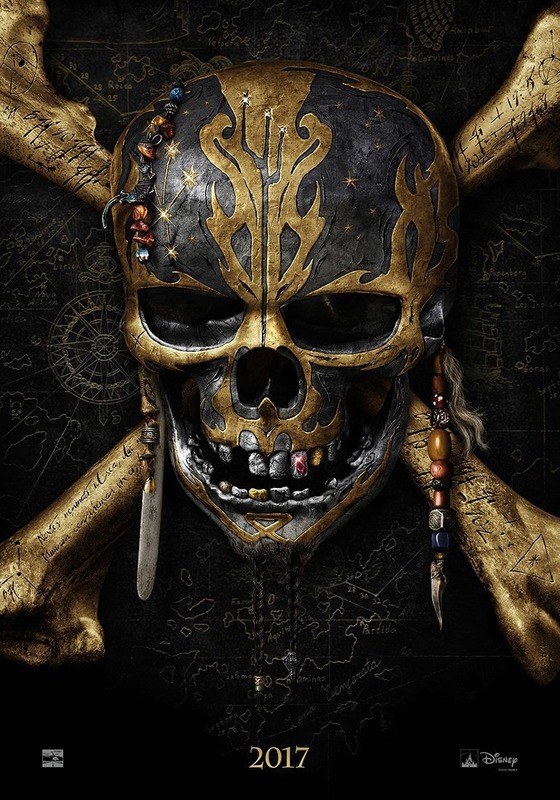 However I quite liked On Stranger Tides and look forward to visiting this world again. It's ripe with possibilities. I could have done without Bloom returning. WHY is he back?! 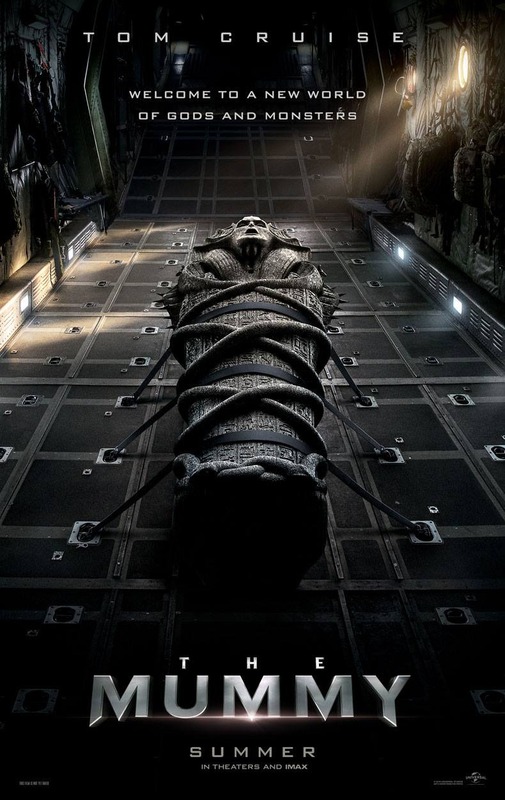 The Mummy - I have waited YEARS for Universal to grow a pair and get their Monster brand back on screen and in a connected universe. It was supposed to start with the Wolfman movie in 2010 which I liked. Then Dracula Untold. Which wasn't too bad. The Mummy looks like they may have finally figured it out. I can't wait to see the new version of The Creature at some point. Thor Ragnarock - On board. 100%. Kong: Skull Island - On board. 100%. I will add that I completely agree with you Michael. In the back of my mind, I have a concern that the trailer dropped all the good stuff. I really hope not. Logan - On board. But again, the concern that the three trailers have sort of taken the surprise out of this movie. I wish it would have stayed mostly off radar. 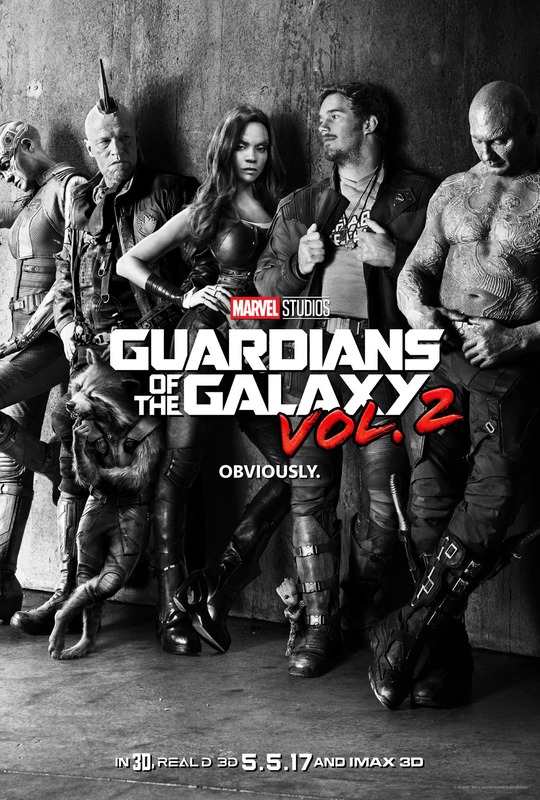 Guardians 2 - When I heard Guardians 2 was being released this year, I thought, "Oh yeah, that movie". Don't get me wrong, I love Guardians whenever I watch it but it's not appointment viewing. It's probably not even in my top 4-5 Marvel movies. But I'm pretty excited to see it. That trailer is amazing. My kids even love it. My 6YO quotes the "Do you have any tape" lines from memory all the time. 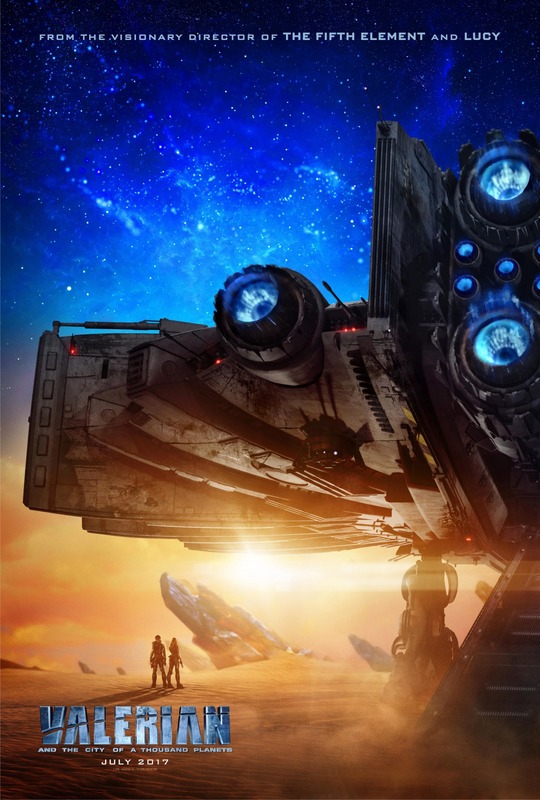 Valerian - This was completely off my radar until I saw the trailer one night out of nowhere. I was like, "WHAT THE F**K IS THIS?!" It looks amazing. I even picked up a few of the Valerian comics from a sale on Comixology a few weeks ago. I'm pumped to see this. 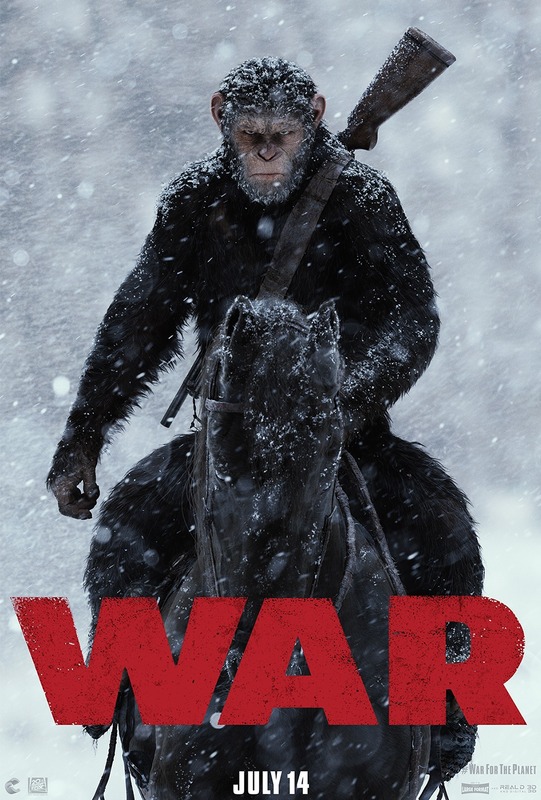 War PotA - I only kind of like the original PotA so I wasn't excited to watch the remakes. However, against all odds I LOVED the first two. I am excited to see this movie despite Woody Harrelson dropping the groan inducing "If we lose it will be a...planet of apes!" line. 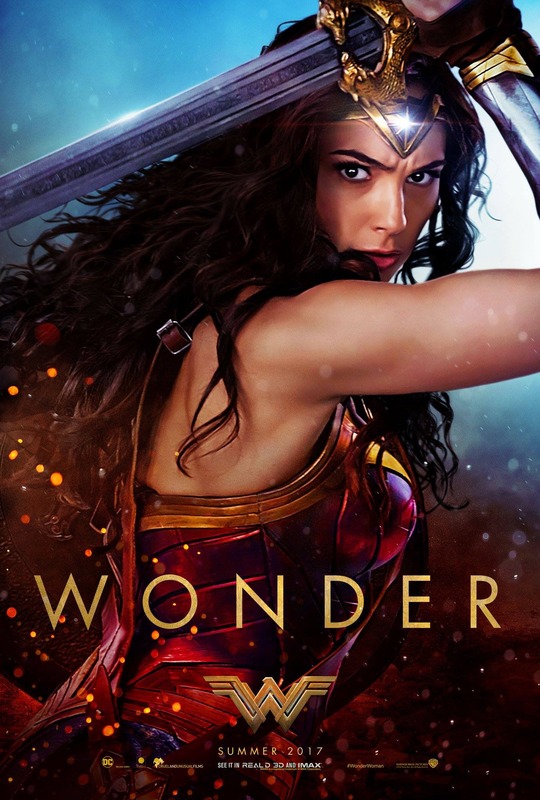 Wonder Woman - In. Obviously. 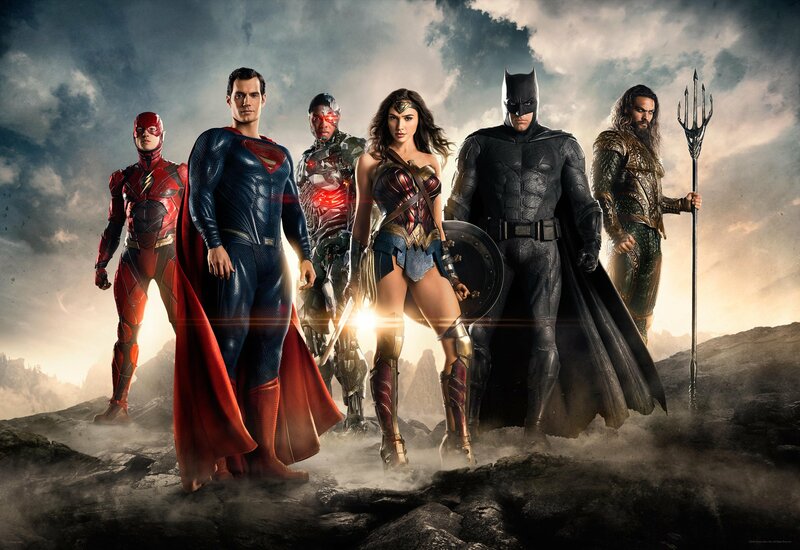 But I can't vouch for any other WB super hero movie. Even Aquaman. Star Wars Ep 8 - All in. I can't wait to return to Finn, Rey, Poe, Luke and Kylo. I still love Force Awakens. Rogue One was the semi-satisfying appetizer but Ep 8 is the main course. I wanna know more about your hatred of the first Dark Tower book. Sounds like a Hellbent topic! Wait, there's a new Alien movie coming out? Have I lost faith in the franchise yet? Anyway... I bet my favorite films of the year are those I know nothing about right now. Such a great list. I can't wait for Wonder Woman and Jumanji. The original is one of my favorites and the one film where Robin Williams was at his controlled best. Plus Kirsten Dunst who I love in anything. The only thing I hate about Valarian are the leads. I hate Cara in anything and that kid looks more punk than star.